Aside from that embarrassing Cruise/Diaz action flop Knight & Day, director James Mangold has a solid track record working with actors. Both Angelina Jolie (Girl Interrupted) and Reese Witherspoon (Walk the Line) won Academy Awards under his direction. Mangold was the ideal choice to close out the Wolverine saga, ending with Hugh Jackman playing the famous X-Man tens time over the span of 16 years. The human aspect of this movie, the harsh reality of old age, entirely new territory for the superhero movie genre. The scripts humanity is what keeps the audience engaged and emotionally invested. As fans prepare to say goodbye to one of the most beloved comic book icons, they can take solace in knowing Mangold doesn’t disappoint. The year is 2029, there hasn’t been a new mutant birth for many decades. Nearly all X-Men have died off and the world has moved on without them. Logan (Jackman) is an ailing limo driver for hire in Texas, making what money he can to buy medicine for his mentor Charles Xavier (Stewart). The once great mind, Professor X is now confined to chambers just across the border where he is kept sedated. 90-years-old, Charles suffers from Alzheimer’s, ALS and a brain disease that combined with his mutant capabilities is a dangerous combination. Logan is made aware of a new mutant, artificially engineered with his own DNA, it’s his 11-year-old daughter and he becomes her only chance at survival from scientists who want to correct their genetic mistakes. Mangold and his writing team have taken the best aspects of this characters imagined twilight years and rolled them into a fascinating action film. The film opens with Logan’s favorite F-word, and an introduction to what an R-rated Wolverine looks like (i.e. claws through the face of an agitator). The extinction of tigers, depletion of mutants, an advancement in Chrysler cars and modification in tractor-trailers, the future isn’t unrecognizable. Logan has similar themes to post-apocalyptic Children of Men (2006), where in the near future there are no more babies. Perhaps the most sobering idea presented in “Logan” is that X-Men comic books and fanfare never reflected the lives the mutants lived. Logan, greyed and scared, now suffers severe arthritis retractable claw failure, even his mutant power of rapid healing is failing. 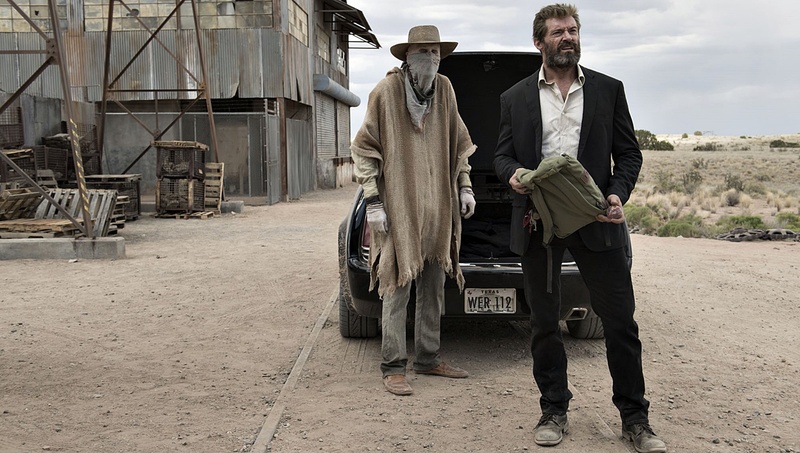 Logan might be a finale for some characters, but it’s possible a prequel to another. James Mangold and his writing team have taken the best aspects of this characters imagined twilight years and rolled them into a fascinating action film. If you look at how Logan is taking care of Charles, in the retrospective universe of the films, it’s quite a touching progression. People will buy tickets to see claws driven through skulls, but they are going to walk away with so much more than they bargained for. Logan gets the reality check all superhero movies lack, delivering the movie people never even knew they wanted. Not without some Mad Max type action scenes, Mangold insisted on keeping the visual effects to a minimum. A smaller budget than recent X-Men films, demonstrating creativity goes up when production crews get inventive and prioritize on restricted funds. A blistering final chapter to an icon and the most tangible superhero to date.